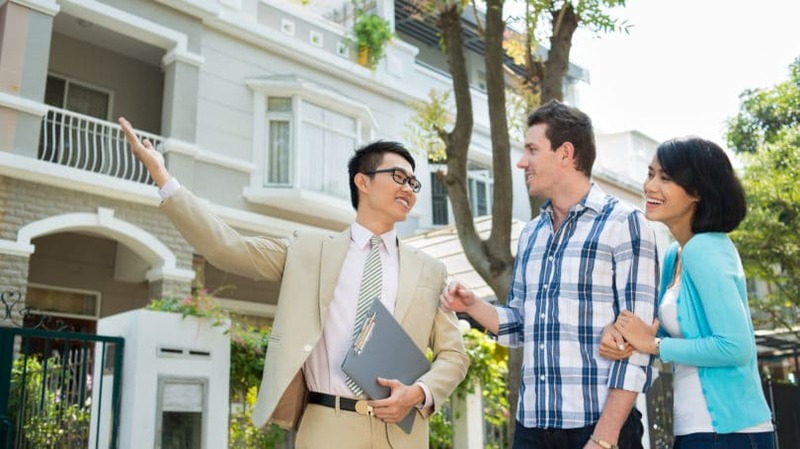 8 Home Buying Tips to Learn from HGTV's "House Hunters"
If there’s one show that I chain-watch the most, it’s “House Hunters.” Seeing hopeful would-be homeowners search for the property of their dreams gets me every time – and because of my obsessive watching, my husband is now hooked too. In each episode of “House Hunters,” a person or couple looking to purchase a home meets with a real estate agent and offers a budget and a list of must-haves. The agent then takes the hunters to three different properties, where they have the opportunity to explore and discuss each one’s pros and cons. At the end, the hunters pick which house they want, and the audience is treated to a quick post-purchase update. Whether you’re in the market for a new home or you’re just curious about real estate, there’s a lot to learn from a 30-minute episode of “House Hunters.” By keeping some of the following tips in mind when you embark on your hunt, you just might score that happy ending in your own episode. 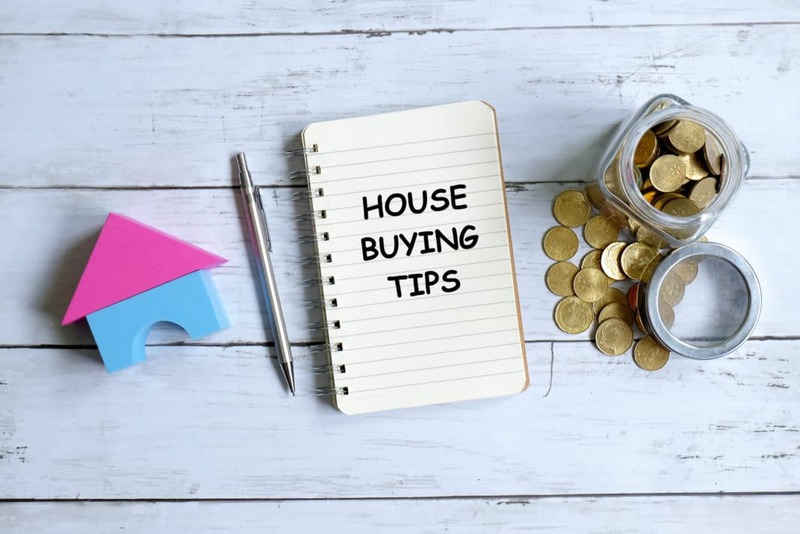 Your real estate agent uses a budget to narrow down your options, and if you’re hunting with a partner and you disagree on what you should spend, one of you is going to be set up for disappointment before you even set foot in a home. A good rule of thumb is to multiply your yearly household income by 2.5 – this should give you a conservative number you can afford. Determine how much you’re comfortable spending each month by creating a budget based on your income, expenses, and debt. Don’t forget that in addition to your mortgage, you need to pay for property taxes, mortgage and home insurance, and maintenance and utility costs each month. Head to your bank and ask for a mortgage pre-approval amount. The bank takes the same debts, expenses, and assets into consideration, but also factors in your credit score when determining an amount that you can be pre-approved to spend. Keep in mind that the bank might actually approve you for more than you expected – but don’t consider this permission to go over the budget you’ve set for yourself. Banks don’t factor in things like how much you put into savings each month, your discretionary expenses, or what you’re going to pay for utilities in your new place. Know what number you and your partner are comfortable with, even if the pre-approval amount comes back higher. I’m always surprised by how often some folks on “House Hunters” demand laundry lists of features and then give the real estate agent ridiculously low budgets. Jetted tubs, huge property lots, granite counter tops, and in-ground swimming pools add up. Instead, be realistic and understand what you can actually hope to get for your money. A great way to gauge that amount is to do some research and look at MLS listings in your desired area on your own. You should be able to see exactly what your money can and can’t get you, taking the price of certain upgrades into consideration. For example, a pool should add a big chunk to the list price, and you need to adjust your budget accordingly. Other upgrades – such as granite counter tops or new fixtures – may not. Knowing the difference between various upgrades and how they affect your budget can help you either temper your expectations or decide to increase your spending limit if you realize it’s too low to accommodate your wish list. Ask your real estate agent which features are easier to find at your price point. Speaking of expectations, home buyers on “House Hunters” are notorious for fixating on specific features. Sometimes, I have to laugh – a functioning bathroom is a need, but vaulted ceilings? You can probably put those down as a “want.” Obsessing over certain features could mean overlooking great properties that don’t meet your perfect criteria. Try writing a list of needs and wants before you look for a new home. Then, number those items according to priority, with “1” being non-negotiable, “2” being preferable, and “3” being something that would be nice, but not necessary. It’s fine to have a few features you really need, whether it’s a fenced backyard for your dog or a bungalow for an older parent who can’t navigate stairs. Just don’t let a laundry list of “musts” stop you from getting your dream home. No, you probably won’t be able to add vaulted ceilings, but some cosmetic needs and wants can be added after you move in during a renovation. If you really want hardwood floors, try adjusting your budget or put in an offer that nets you the extra money to install them. Don’t get caught up in finding the perfect house as-is. Being from a large metropolitan area, I have to chuckle when I see hunters specifying an exact neighborhood they want to live in – no negotiation. Living in a desirable area is great, but only if you have the money for it. Buyers always pay a premium for properties near a city center, which means it sometimes pays to go a little off the beaten path. Tell your real estate agent the general area in which you’d like to live – but don’t completely dismiss the idea of going to a different neighborhood 5 or 10 minutes beyond it. You may be able to find larger properties, better prices, and more options. It’s a small compromise if it means getting the best property possible, even if you have to take the train to work or have a longer commute – just remember to account for additional transportation costs in your housing budget. It’s a buyer’s market, which means you have the opportunity to get great deals on real estate. My husband and I both groan when a home buyer offers exactly the asking price on “House Hunters.” It never hurts to propose a lower price or add in some perks for yourself, like requesting that the seller pay for closing costs or leave some appliances or furnishings behind. Unless a home is highly desirable and has several offers on the table, you’re in a position to do some bargain hunting. Competitive Market Analysis. Ask your agent to draw up a list of other homes and their selling (not list) prices to see how your desired home compares. Time on Market. The longer a home has been on the market, the more motivated the seller might be to get rid of it. Area Competition. If you’re looking in a neighborhood with plenty of homes for sale, you might be able to use that to your advantage and submit a lower offer. If the area has a housing shortage, there’s more competition for buyers, and therefore less room for bargaining. Appraisal. All homes should have an appraisal value that you can get from the seller’s real estate agent. Never offer above appraisal, even if the competition for a home is high. If you’re taking out a mortgage, it would mean owing more than the home is worth – if the bank even allows you to do it. If you’re absolutely in love with a house and think it’s worth paying above appraisal value, you need to pay the difference in cash. Discuss With Your Agent. Talk to your agent about factors such as competition, the CMA, and the seller’s motivation, and ask what a realistic offer might be based on that information. In the end, it rarely hurts to put in an offer 10% to 15% lower than the list price. The seller can counter and you can begin a negotiation, hopefully leading to a deal lower than the ask. I remember one episode of “House Hunters” where a wealthy bachelor was searching for some lakefront property in Michigan. One home was completely gorgeous on the outside, but was covered in tacky wallpaper on the inside. The initial reaction was less than positive, especially when the hunter considered the work required to change the decor. However, the home’s floor plan, exterior, and features were exactly what he wanted. In the end, he chose another house – thanks to the wallpaper. While it’s sometimes hard to look past a previous owner’s choice in paint, decor, or wallpaper, don’t miss out on a prime piece of real estate just because you can’t. Seeing past minor cosmetic issues could also put you at an advantage over other buyers who passed on a house because they were blind to its potential. What’s more, you can negotiate a renovation allowance with the seller as a way to reduce the home’s purchase price based upon some of the fixes you plan to do. There are only so many houses you can see in a 30-minute show. Yet “House Hunters” always ends with people finding their perfect match. In real life, however, it takes seeing a lot more than just three houses to make a decision. Don’t be discouraged if your search for a new home isn’t picture perfect, and remember much of the process on TV ends up on the cutting room floor. Your dream house may be number 7, 10, or even 15 on your list. Buying a home is a huge investment and you deserve to take the time to get it right. Don’t feel like you have to wait to hear from your real estate agent to find your perfect home. With so many websites dedicated to listing homes for sale (such as Trulia and Zillow), you should feel comfortable perusing on your own and bringing properties to your agent’s attention when you spot them. It might take a little teamwork, but the more homes you consider, the better chance you have at finding your perfect property. When I first started watching the show, I wondered how the hunters were able to put an offer in, be accepted, and move into their new house in the space of a few weeks. I know from my own experience that buying real estate involves a lot of back-and-forth, deals that fall through, and even some heartbreak when you’re outbid by another buyer. HGTV came under fire in 2012 when it was revealed that many of the house hunters featured on the show were already under contract with their chosen homes before even shooting the episode. They would then see two more houses and offer their critique, feigning the decision process for better TV. Understanding that the “House Hunters” experience is an expedited, cleaned-up account of the process can help you adjust your own expectations. Your hunt should take longer and have more ups and downs than the neat, tidy package of a 30-minute TV show. “House Hunters” is essentially designed to let viewers play along at home. While you watch, you can critique the properties and eventually guess the winner. It’s important to remember, though, that the show is highly altered for its TV audience. Instead of expecting your experience to be quite as predictable, learn from some of the mistakes you see buyers make and apply those lessons to your own hunt for the perfect home. Do you watch “House Hunters?” What lessons have you learned from the show?